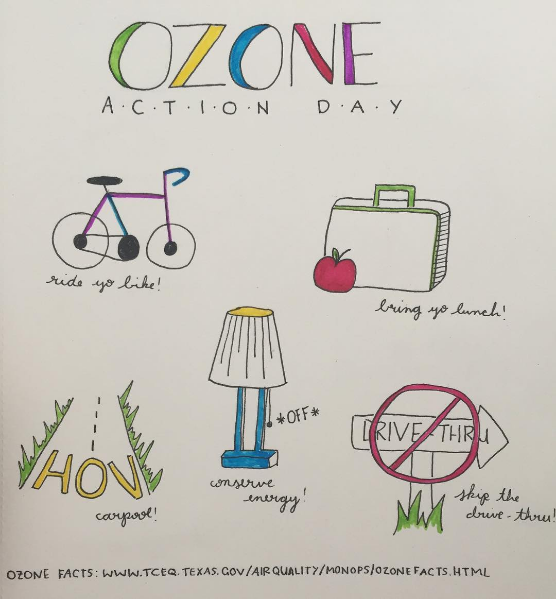 What is ozone and why should I pay attention to Ozone Action Days? Ozone occurs in two layers of the atmosphere. In the stratosphere we have the ozone layer, which protects us from the harmful ultraviolet rays of the sun. At ground level we have the troposphere, where ground-level or “bad” ozone forms as a pollutant. Ground level ozone is harmful to breathe and cause damage to crops, trees and other vegetation. It is a main ingredient of urban smog. 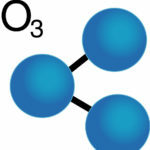 Ozone is an inorganic molecule with the chemical formula O3. It is a pale blue gas with a distinctively pungent smell with which most of us are familiar. Just prior to a rainstorm, you will sometimes here people remark that “it smells like rain.” That smell is ozone. 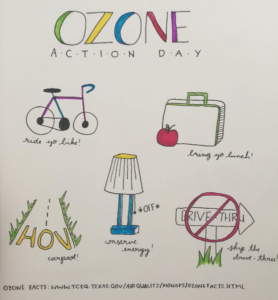 At ground level, ozone is formed when energy from sunlight drives a chemical reaction between nitrogen oxides (NOx) and volatile organic compounds (VOCs), including hydrocarbons such as benzene. 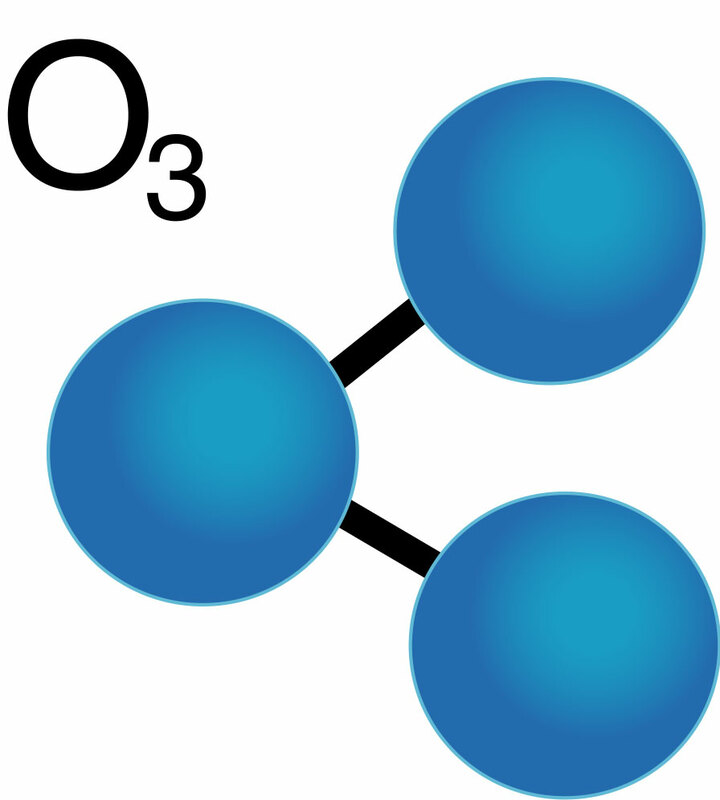 The result is a molecule made up of three oxygen atoms, or O3, which is distinct from molecular oxygen, O2. Ozone pollution is mainly a problem during hot summer summer days because warm temperatures and solar radiation are key to its formation. When temperatures are high, sunshine is strong, and winds are low, ozone can accumulate at unhealthy levels. Whether in its pure form or mixed with other chemicals, ozone can be harmful to health. When inhaled, ozone can damage the lungs. Relatively low amounts of ozone can cause chest pain, coughing, shortness of breath, and lung irritation. In fact, even in low concentrations ozone can irritate lungs and can even be toxic. 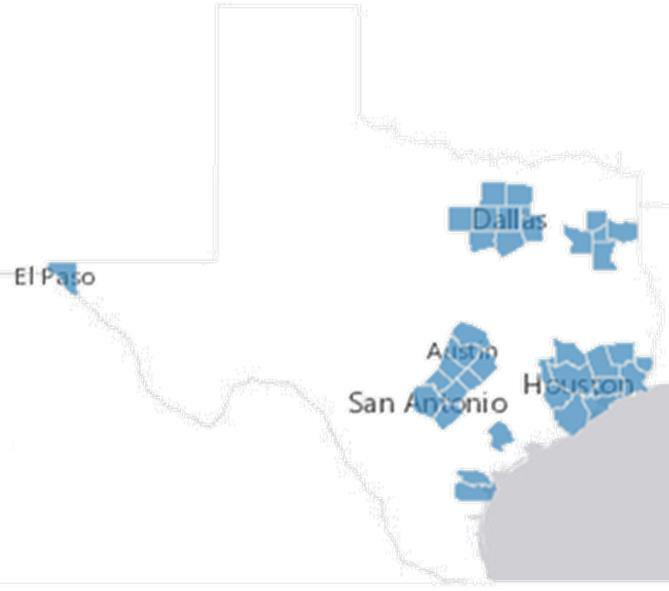 Longer exposure to ozone puts someone at risk of ozone poisoning, lung cancer, lung scarring, and even death.